If it's April, it must be raining, right? Unless of course, like this morning, it's snowing! A ring of lovely umbrellas transform into a rather traditional looking flower design - I love it when that happens - when one idea turns into something completely different when you unfold it. Whether you're into umbrellas (and who doesn't love a good umbrella?) or Japanese-inspired floral crests, this design has a bit of both. 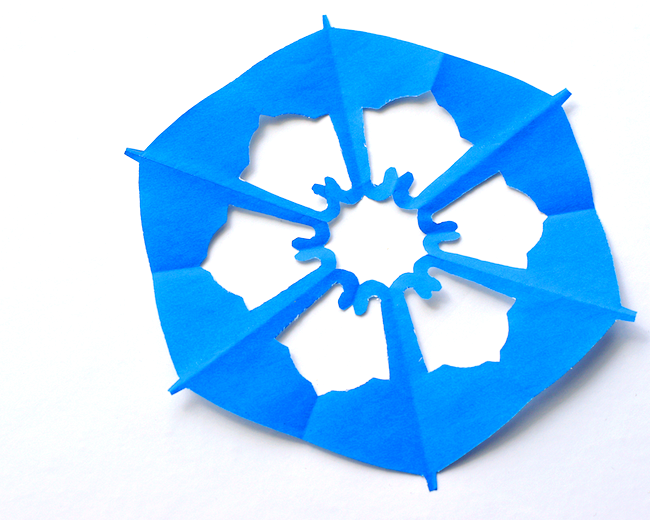 To create your own Umbrella kirigami, use the template below and the 6-point folding pattern. 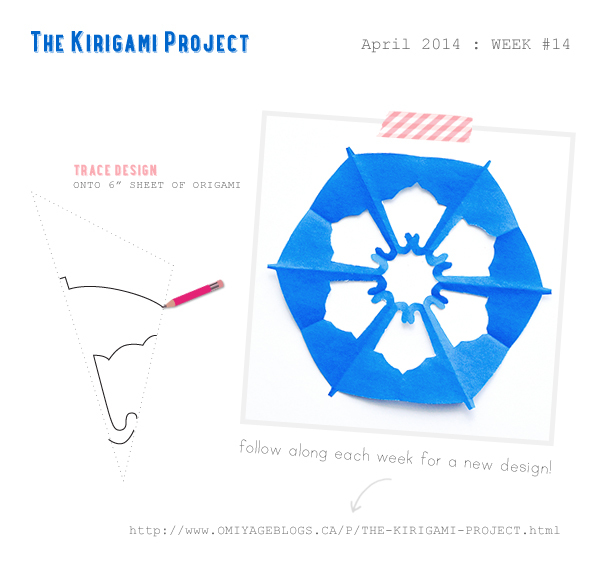 If you try this design, we'd love to see your version over on Instagram. Tag your shots with #thekirigamiproject. See you there! Find me here. Very interesting use of positive and negative space. I don't see it as an umbrella. To me it's more like the negative space is making a stylized lotus flower. I like the thick border. 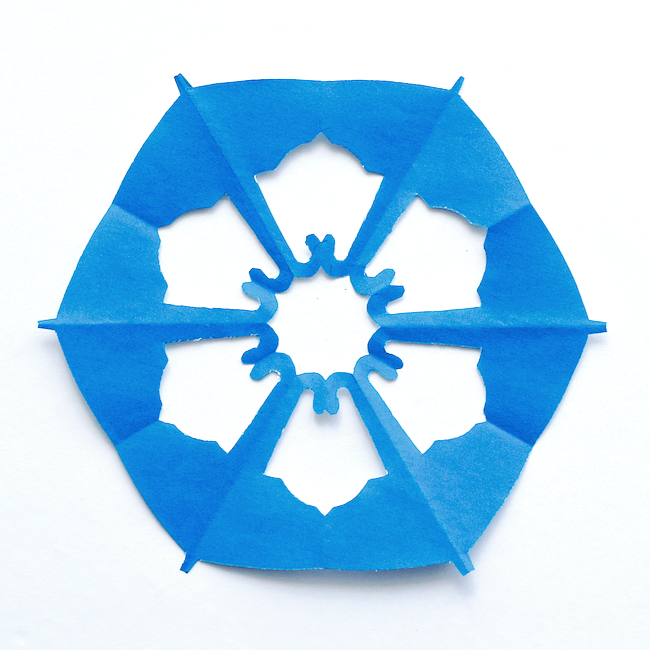 Most elements of your kirigami tend to be delicate, the boldness of the thick boarder is unexpected in a good way. Keep up the great work, I am really enjoying the designs!